Doug Johns picked up his first major league win in August 1995, pitching into the sixth inning of his second big league start. The three runs he allowed came on singles in his final frame, The Associated Press wrote. "I think (Johns) showed a real variety of pitches and arm angles and had great stuff," Athletics manager Tony LaRussa told The AP afterward. "There are few overpowering guys in this league. To be successful, guys have to pitch." Johns went on to pick up four more wins for the Athletics that year. He then returned for time in three more major league seasons, amassing a total of 20 wins starting and relieving. Johns' career began in 1990, taken by the Athletics in the 16th round of the draft out of the University of Virginia. Johns played his first season between the rookie Arizona League and short-season Southern Oregon. He made AA Huntsville in 1992, then AAA Tacoma in 1994. He made his major league debut in July 1995. He threw behind a batter in that first start and got ejected. He went 5-3 overall, with a 4.61 ERA. 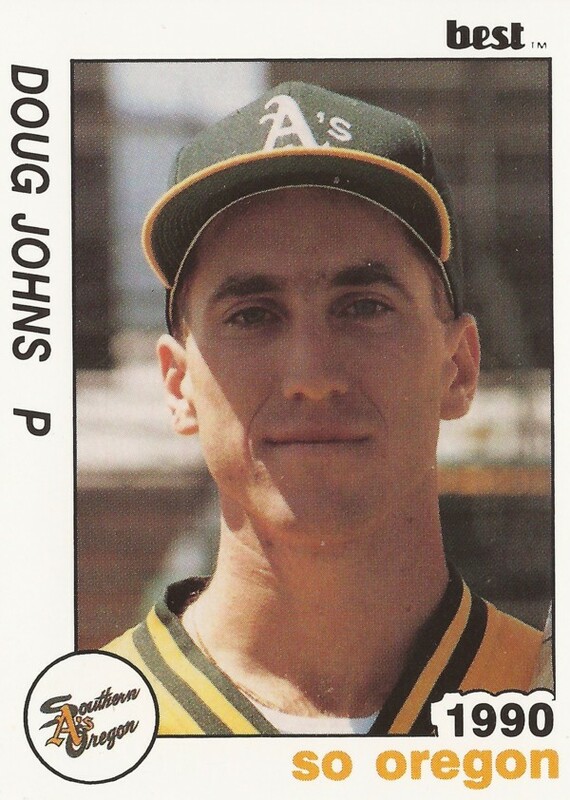 Johns returned to the Athletics for 1996, getting into 40 games, starting 23. He went 6-12 overall, with a 5.98 ERA. Johns picked up an April 1996 win on the strength of a seven-inning performance where he gave up just three hits. "When you get good pitching, it looks easy," new Athletics manager Art Howe told The AP. "Doug Johns pitched a whale of a game. We had some runs to work with and he made them stand up." Johns moved to the Royals and then Orioles systems for 1997, spending the season in the minors. He then returned to the bigs in 1998 and 1999 in Baltimore. He went 6-4 in 1999, with a 4.47 ERA, ending his career.